Are you wondering what to feed squirrels in backyard? We have several squirrels around our house so we wondered what would be good to feed them. In this article, I’ll share what to feed squirrels in backyard, but if you’re short on time, here’s the quick answer. You can safely feed squirrels nuts and veggies. Living in Florida, we have several squirrels everywhere and rarely have to worry about what to feed them because they can find so much abundantly available from our yard. We have acorns, shrubs, and strawberries that they snack on (much to our dismay). But if your area isn’t as full of things for them to eat, there are a few things you can make sure you have in your backyard for them. What do squirrels like to eat most? Nuts, especially nuts still in their shell are the best for these critters. Squirrels like nuts and adapt to eating whatever nut falls in their area. We have a lot of acorns in Florida, so the squirrels are super busy in the fall gathering them up and stashing some away for the lean months ahead. When you see a squirrel digging in the ground, she’s either burying food for later, or is going back to her stash to find the buried food that she stashed before. Anyone growing a garden will tell you that squirrels like lots of different veggies and fruits. If they are eating from your garden, then they will eat pretty much any vegetable that you grow. 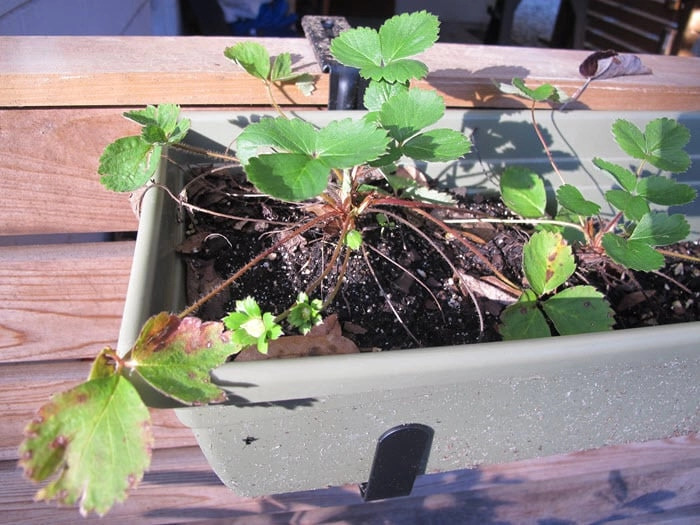 I know that I have a hard time growing strawberries because they like to eat them before I have a chance to really grow any. 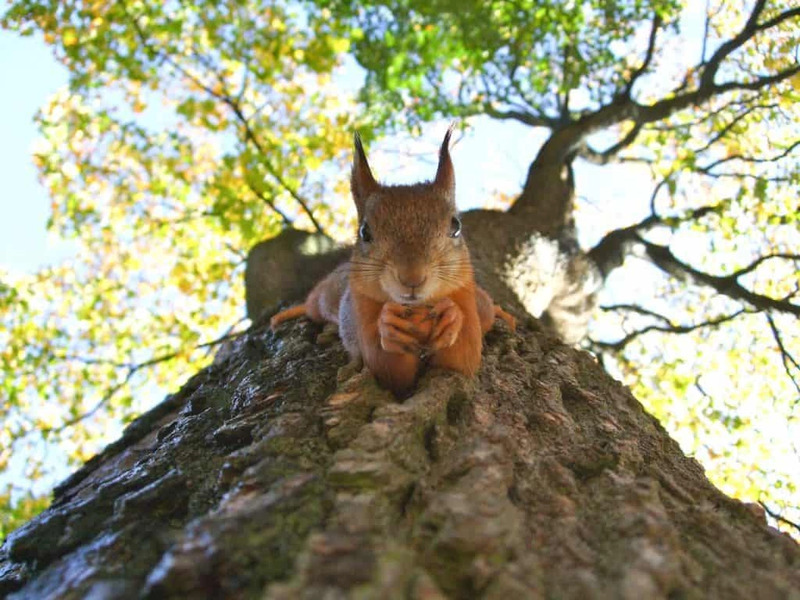 Squirrels are like humans, in that they are omnivores. That means they eat plants and meat. They are fine with eating nuts, fungi, seeds, and will eat some eggs, small insects or even small snakes. In the wild, they aren’t picky eaters and will eat whatever they can find. A squirrel will eat its weight every week. For most of them, that averages out to about a pound a week of food that it needs to find. Squirrels like any kind of nuts in the area. In Florida, our squirrels love the acorns that fall. They will also gnaw on timber, deer antlers, twigs, and leaves to help with their mineral intake balance since they can suffer from metabolic bone disease. MBD is a disease where the squirrels bones weaken over time. If you’re wanting to go an extra step, you can make a batch of nut squares that are specifically made for squirrels. Here is the basic recipe. First take some of the rodent chow, and crush it up into a powder or tiny chunks. You can use a hammer to do this. Small hazelnut, pecan, or walnut pieces, and a handful of sunflower seeds. Mix in some peanut butter for taste – you have to judge how much… If you can’t smell peanut butter, they probably won’t eat it. Next, add a bit of flour to get a sticky dough consistency. That’s what will hold the ingredients together. Roll the dough into small balls about the size of a walnut, or into a cookie form. Roll into some nuts or sunflower seeds. Here’s another recipe for you to follow if you prefer. Squirrels need a lot of water. If you have a bird bath, they’ll use that. If you can try to offer a fresh source of some kind, not too close to your house. You don’t want them getting too comfortable being close to you. Some people choose to feed the squirrels as an attempt to keep them from eating other things in the backyard that they don’t want. For instance, many people try to feed the squirrels away from their bird feeder or from their gardens.Sometimes people just like to watch the squirrels in their backyard. They can also keep other unwanted animals out of your backyard, like songbirds. Peanuts – Be careful about feeding them any peanuts, especially raw peanuts. Peanuts are legumes and the shells can get a mold that’s toxic for the squirrels. This was pretty surprising since most people say to feed them all the peanuts. They can have some, but make sure the nuts are roasted if you do throw some out for the critters. Corn on the Cob – People like to feed corn to the squirrels, and the squirrels do like them. Unfortunately, the don’t give the squirrels any real nutritional benefit and are low on the minerals needed for their diet. Sunflower Seeds – Same problem with sunflower seeds. This is pretty much junkfood for the squirrels. So if you do feed them these ites, make sure to limit them. I’d say it’s pretty safe the feed the squirrels indirectly. I wouldn’t try to hand feed them or anything, but you can add feeders and areas to your backyard where the squirrels can get the food. Our best friend watched a baby squirrel drop out of a tree and nursed it back to health. It was fine for a while. But they are very feral, and the last time she tried to handle the squirrel, it bit her hand to get away. They also carry their own types of parasites and fleas, so show caution when replenishing the feeders. Many ask what to feed squirrels and if it’s safe, but you’ll also want to check with your municipality to see if it’s lega. There are many reasons that they don’t want humans to feed squirrels. If the squirrel species not native to the area, then it could cause problems with the local wildlife and vegetation. Check with your local area to see if feeding squirrels on purpose is illegal. So there are the basics. The squirrels will love you for putting some of these items in your backyard for them to feast on. Especially during the winter months and if they failed to properly stash enough away. Copyright © 2019 · As an Amazon Associate I earn from qualifying purchases.